I can trace it back to a worship tape in college…then a funeral…then another…this song that has captivated my heart and imagination for years. The idea that my soul can be at peace and all can be well despite the circumstances at once beckons me and confounds me. The Bible speaks of it, Jesus preached it, and we sing the truth of it. Yet to be quite honest I find the living of it to be elusive much of the time. If we are heirs with God and coheirs with Christ and his peace is HERE it is NOW and ours for the taking…receiving…why don’t we? Why is this so hard? I think the answer lies in that fact that we are struggling to wrestle peace out of the wrong place. What causes me NOT to have peace? Something threatening happens or even just comes to mind. Your body reacts in fear, worry, anger…some negative emotion that causes your mind to spin out of control, your body with it. A wrestling match ensues whereby you try to control the potentialities of the situation…making them bend to your will…and you wrestle on, asking God to help you win the battle. Staring, focusing, obsessing, fixating on a problem, fear or issue instead of Jesus…EVERY.TIME. We battle, struggle and fight to push and shove peace into a circumstance that either doesn’t exist outside our minds or, even if it does, is out of our control. We are looking for peace in the circumstance or situation and keeping God on the fringe, hoping He will do what we want. Our fear, worry, concern is central and God is relegated to the periphery of it. What if INSTEAD of holding onto the problem and trying to work it out ourselves, we PUT GOD at the CENTER and relegated our circumstance to the periphery of our lives. Could we stop looking at our problem and commanding God to move; and instead look at God and command our problem to move. When I trust that His ways are good…for His glory…then I won’t fear what He chooses for me. The victory has been won. I can find Him and in that relationship find peace as I choose Him over battles. 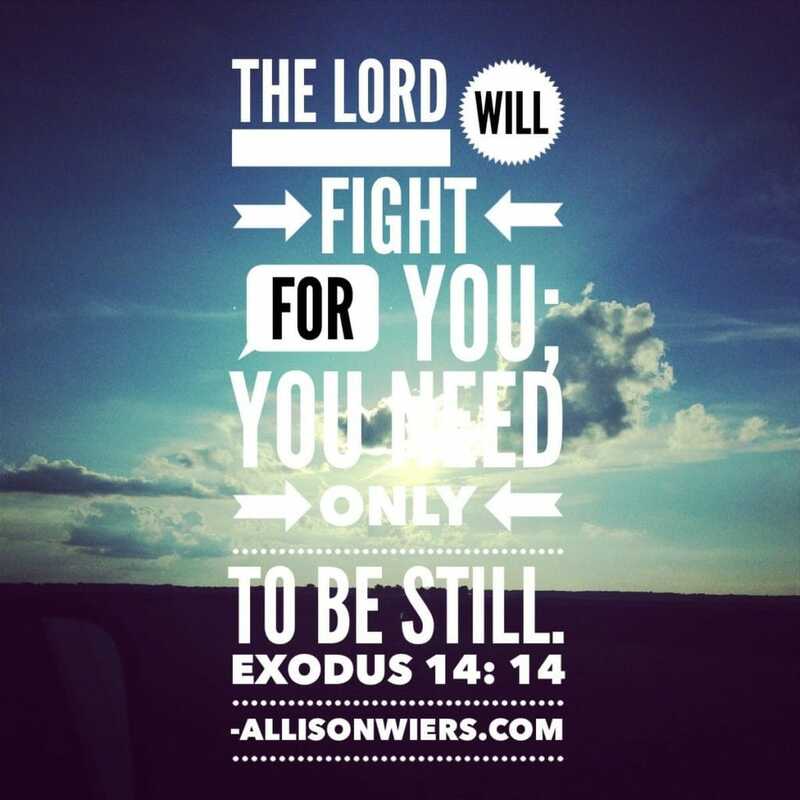 He will fight…I can be still. This doesn’t mean complacency. As you know His love, you are compelled to show it to others. I think it means less battling in our spirit, less stress and worry, more esteeming God and His goodness and the TRUTH that He has already won. Could you use some peace and rest? How do you find yourself without peace? What puts you in a tailspin? How do you work through it?